Angels caused the apocalypse. Human civilization is in shambles. Seventeen-year-old Penryn is trying to take care of her paralyzed younger sister and her crazy mom. Then her little sister is taken by angels. Penryn vows to get her back. She allies herself with Raffe, an angel whose wings were cut off; he agrees to take her to the angels home base if, in return, she will help him get back his wings. 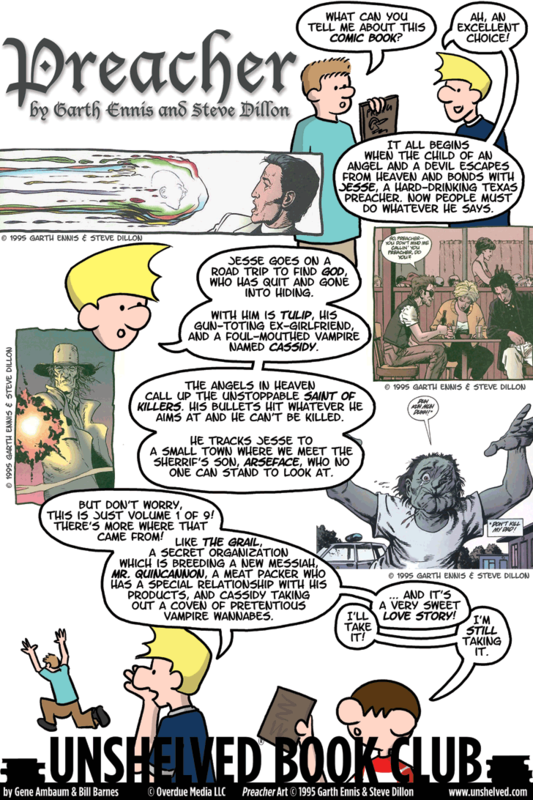 Why I picked it up: I liked the idea that angels brought about the end of the world. It’s not often I find a story where heaven’s own ruin things for humanity. Why I finished it: I liked how Penryn is slightly attracted to Raffe, even though she refuses to admit it and keeps telling herself that it’s not possible. I really wanted to know what would happen between the two of them. I'd give it to: My friend HL. I think he would like Raffe's sureness and arrogance, but most of all his underlying kindness. HL kind of reminds me of Raffe, though without the giant white angel wings, of course! @bookblrb: After bringing about the Apocalypse, angels kidnap Penryn’s little sister. A wingless angel helps get her back. Arthur A. Levine Books/Scholastic, 2013. 9780545403108. A fiery and romantic adventure, perfect for fans of Grace Lin, Kristen Cashore, or Lisa See! Jade Moon is a Fire Horse, the worst sign in the Chinese zodiac for girls, said to make them stubborn, willful, and far too imaginative. But while her family despairs of marrying her off, she has a passionate heart and powerful dreams, and wants only to find a way to make them come true. Then a young man named Sterling Promise comes to their village to offer Jade Moon and her father a chance to go to America. While Sterling Promise's smooth manners couldn't be more different from her own impulsive nature, Jade Moon falls in love with him on the long voyage. But America in 1923 doesn't want to admit many Chinese, and when they are detained at Angel Island, the "Ellis Island of the West," she discovers a betrayal that destroys all her dreams. To get into America, much less survive there, Jade Moon will have to use all her stubbornness and will to break a new path...one as brave and dangerous as only a Fire Horse girl can imagine. Celia and her three sisters, gifted with magical powers when a curse on their mother rebounded, have just purchased a fixer-upper in Lake Tahoe, California. Celia has a tigress living inside her, Taran can shoot electricity, Shayna can make force fields, and Emme can heal. For some reason, this town feels right, like there is an energy in Tahoe that doesn’t exist elsewhere. Why I picked it up: My wife works with the author. They’re both labor and delivery nurses. When Robson signed her writing contract with Signet Eclipse, I told her that I’d be happy to read her book as soon as she got advanced copies. I'd give it to: Cinda, who would like the fresh take on vampires in this book. They are not aggressive, work, have families, and their political and leadership issues are more severe than our Congress’s! St. Martin's Press, 2013. 9781250012579. New York teen Mia is possessed by a vindictive, powerful demon. Her relatives from Milan manage to exorcise the demon and save her life. Because there is no protection for her in the U.S., Mia must pack up and head to Milan to learn the family history and lore. In Italy with her family, she cannot leave their house without a phalanx of relatives protecting her. Mia even overhears the patriarch say that next time the demon possesses her, it will take Mia’s life and there is nothing to be done about it. Mia buckles down on her history and language studies, and even gets to see the family drive a demon out of a neighbor. But no one is sure if she has what it takes to become a demon catcher. Why I picked it up: I thought it was a book about demon-possession in medieval Milan. I was thinking it would feature crowded, maze-like streets and a secret order of monks dedicated to exorcism and read like Umberto Eco's The Name of the Rose. Why I finished it: Mia’s life was irrevocably changed by her possession and subsequent move to Milan, but she was not a whiner and took charge of herself. I am not a foodie, but the scenes when Mia is at the dinner table with her relatives, having a four-hour meal and slowly working her way into their lives, were key to the book. Because Mia was limited to the ground of the Della Torre house, lest the lurking demon descend into her, I was afraid for her the few times she went out. There was a vagueness about the demon’s powers and how the Della Torre family banished it that, instead of frustrating me, intrigued me. I couldn’t wait to learn how the little cases each Della Torre carried were used to exorcise demons. I'd give it to: Ivana, because even though she is a middle-schooler, she has the patience to appreciate the lush writing. The payoff from this book is not the killer possession scenes, although they are gripping, but Mia’s fear as she learns more about her mysterious family and the world of demons. St. Martin's Press, 2013. 9781250021526. An ordinary-seeming teen named TeenBoat, who can transform into a small yacht, has both high-school and crime-fighting adventures. There’s a little romance, too! Why I picked it up: I like Dave Roman's work and thought the artist was the John Green who wrote An Abundance of Katherines (he isn't). Why I finished it: Silly enough for a middle schooler, but serious enough for grown-up me, I dug the parody of adventure comics, superhero origin stories, and super-dramatic comic book covers. TeenBoat’s short adventures go from being pressured to take the cool kids out to international waters for a gambling party to tracking down a thief stealing boats from a seafood restaurant! I'd give it to: Darcy, for TeenBoat’s star-crossed love affair with a Venetian Gondola and the well-placed KRS-One joke. A paranormal YA novel with a fantastic commercial plot that combines Irish folklore, teen romance, family drama, and good vs. evil with strong adult crossover potential. The book's gothic-style romance combines the emotional impact of Twilight with the magical training school of Hogwarts. The magical world of the Holders is opened up to a small-town American girl and her brother (who some think is schizophrenic because of the voices he hears in his head) when secretive agents invite them to attend St. Brigid's School in Ireland. Tired of his life in Florida, Miles heads to boarding school in Alabama. He is skinny and unremarkable, but he knows the last words of almost every dead famous person. His roommate Chip (a.k.a. "The Colonel") knows the capital of every country, nicknames Miles "Pudge," and introduces him to the occupant of the dorm room five doors down, the most beautiful girl Miles has ever seen. Why I picked it up: After reading The Fault in Our Stars I became a huge John Green fan, but I put off reading this because I wasn't interested in reading a travel book about our northernmost state. Then I was facing a very long plane flight with nothing to read, so I downloaded it onto my iPad. Why I finished it: Not a travel book. Alaska is the name of the beautiful girl down the hall. The story of her complicated relationship with Miles (and with the rest of the world) kept me thoroughly enthralled as the chapters counted down ("one hundred twenty-seven days before," "one hundred twenty-six days before"), making me more and more curious and not a little tense about what they were moving towards. I'd give it to: My son Theo, although I have to wait a year or two, because right now at age twelve he's at a phase where he can't even read about a boy and girl in the same room without becoming extremely agitated. First I'll give him Maureen Johnson's The Name of the Star, another boarding school novel, which also has boys and girls in the same room, but also ghosts. Then I'll wait until he needs a good cry and slip him this, because it's a serious weeper. “When I think of Queen, I can remember my whole life.” Mike Dawson’s life changed forever the night he saw the video for Queen’s I Want to Break Free. His brother loaned him a cassette with the song on it, beginning Mike’s lifelong obsession with the band. While he was never able to see them live, he can relate significant memories from his life to their music. And eventually their songs inspired him to write this graphic novel. Why I picked it up: Mike Dawson gave me this at the end of TCAF when I told him how much I loved Troop 142. Why I finished it: In 1985, Mike (10) enters a talent show and sings “Bohemian Rhapsody.” He imagines he’s singing like Freddie Mercury, but he’s clearly not. The host tries to cut him off and get him to leave the stage, but he just keeps singing. I'd give it to: Silver, who teared up a little during the Olympics’ closing ceremonies when Freddie Mercury’s image was projected onto four giant screens, center stage. And to Claire, when she’s older, because I’m sure the singing she’s doing these days is going to haunt her online, forever. Mallory killed her boyfriend, Brian, in self-defense, and was acquitted. But her mother is hiding the kitchen knives, and Brian's mother wants to make Mallory pay for her crime. Mallory reluctantly agrees to go away to boarding school. Unfortunately her problems follow her there after the other students find out what she did. If she could remember what happened the night Brian died, she might be able to tell if the person stalking and harassing her is real, or if it’s his ghost come back to haunt her. Why I picked it up: I enjoyed Miranda's first book, Fracture, and, after I found out she lives a few towns away from me, I was even more excited about picking up her second. Why I finished it: Miranda skillfully avoids a sophomore slump by upping the tension in her newest novel. She kept me guessing if the threats Mallory sees all around her were real or if they were all in Mallory's head. As the adults around Mallory seemed to turn a blind eye to her struggles, I felt compelled to be there for her right to the very end. I'd give it to: Barry. As in her first novel, Miranda blends hints of the paranormal with psychological thrills; the result is a powerful combination that will overcome his usual reluctance to read a novel. @bookblrb: Mallory can't remember killing her boyfriend in self-defense. Escaping to boarding school, her secret comes out. Leeroy (a bear) and his buddy Popo (a dinosaur) hang out, play Wii, and smoke a little pot. Leeroy tries to get to know Cecelia, who works at Cool Beans. Why I picked it up: Bear on the front cover, sushi on the back. I spotted it on a rack while I was dashing into Jim Hanley’s Universe to buy mini-comics, while I was in Manhattan for the nearly mini-comicsless NYCC. Why I finished it: This is a quiet book about two friends. It’s lovely and slow and goes perfectly with Roskosch's understated, subtly-colored art. Watching Leeroy play The Legend of Zelda and the N64 version of Superman, complete with screenshots, was unexpectedly hysterical, particularly when Popo tells him Superman is one of the worst games ever made. Little, Brown and Company, 2012. 9780316204279. Bee's mother disappeared right before Christmas break, when their family was about to leave on a cruise to Antarctica. Bee tries to piece together what happened using emails, sticky notes, FBI files, and other documents she probably shouldn't have. Why I picked it up: My boss is in her third year on a Very Important Book committee and couldn't stop raving about how delightful this book was. Why I finished it: This book takes place in Seattle, and I enjoyed Bernadette's out-of-town transplant rants about our five-way intersections, obsession with the water and the mountains, Microsoft culture, and other snarky insights about our city. I'd give it to: Dana, whose daughter Rose is in the early years of a private middle school that reminds me very much of the one Bee attends. I know Dana will recognize many of the irritating parents (Bernadette refers to them as “gnats”), and I hope this will help her laugh at their pretensions.